In our last post of closing out the year of the dragon, guest blogger Saengmany Ratsabout, talks about the meaning of the new year and communities leading celebrations in the years ahead. Let’s begin this section by revisiting our inquiry on the relevancy of the Lao New Year festival in the twenty-first century through a community development perspective. In order to answer this, i would like us to also revisit the three values of Lao New Year, 1) Community, 2) merit-making, and 3) filial piety. How are these values relevant to the Lao American community in the twenty-first century? There are more questions here than answers and this section hopes to begin a conversation among elders, emerging community leaders and members of the Lao American community. Award-winning Lao American writer, Bryan Thao Worra writes extensively on the renaissance of Lao American arts and its role in community development. What role do we see the Lao New Year festival play in providing space for artists of all types to display their talents? Community festival whether it is the Lao New Year or events like the Lao American Writers Summit is a great way to gather people to celebrate something in their community. Generally speaking, festivals such as the Lao New Year also provide space for community members to meet and interact with one another. Events like the International Lao New Year Festival (ILNYF) held in the Bay Area provides a space for traditional and modern artists perform together and work collaboratively. Performances of Refugee Nation at the ILNYF by Ova Saopeng, Leilani Chan, and Lidet Viravong continue the conversation of Lao American identity and self-reflection through a play developed from oral history. The Lao New Year festivities continue to play a vital role in Lao cultural identity by bringing families and community together. The Lao Assistance Center of Minnesota (LACM) has in the past couple of years lead initiatives that brings together multiple community and family-based organizations to collectively organize one single New Year celebration. Through this leadership, the role of LACM embodies the values of the Boun Sangkhan Pii Mai. As mentioned in previous sections, the Lao New Year has largely been associated with Buddhism, of which the line between culture and religion has become increasingly blurred. Giving-alms to Bhikkhus and Bhikkhunis (male and female Buddhist monks) is one opportunity that Lao Buddhist could make merit during the New Year celebration. Has the institutionalization of nonsecular Lao New Year celebrations in providing alms to Buddhist monks hinders the full participation from non-religious conforming members of the community? If so, are other options of making merit that could be incorporated to the Lao New Year celebration? These are the questions that come to mind, of which it is important to begin a dialogue within multiple sectors of the Lao American community. Lastly, how does filial piety, the respect and reverence to parents, ancestors and family (community) fit in this discussion? How can we as individuals continue to perpetuate this act of respect and reverence beyond our immediate family and community? The work of development whether it is in education, economic, leadership, or human rights are all important work that are encompasses within the framework of filial piety and common respect. This could and should be part of a wider discussion in continuing the relevancy of Lao New Year celebration in the twenty-first century and beyond. Additionally, we hope that through this discussion, community members and leaders would visit the notion of the Nang Sangkhan as an empowerment tool for young Lao American women rather than its currents status quo as a beauty pageant. In doing so, special attention on the essence of the Nang Sangkhan as protectors of the world (community) should be made. Attributes as community services, the passion to help others, and a platform in addressing community issues and concerns should be made a priority in the selection of the Nang Sangkhan. In 2015, the Lao American community will be commemorating forty years since resettlement in the U.S., and there is much to be thankful for. 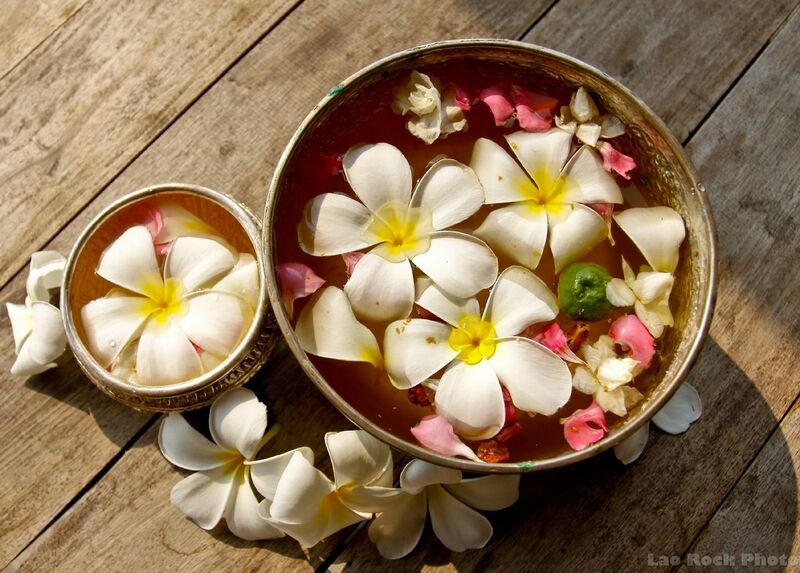 The Lao New Year has reminded us to cleanse the past and prepare for the future. We should also take this time to reflect and embrace our past experiences and begin the discussion of where the journey will take us in the next forty years. Let us work collectively on creating changes through intentional discussion and dialogues. By no means is this an attempt to provide a comprehensive analysis on the Lao American celebration of Lao New Year, of which an ethnographic research on this subject is much needed. 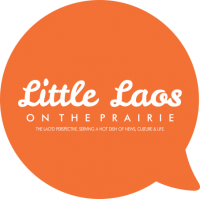 Next PostLittle Laos on the Prairie May Writing Contest! "Voices"